Port Maintenance Group has carried out a wide variety of ship repairs and refurbishments from small to large vessels, they also specialise in general engineering and outside contract work including total renovation and repairs of wharves & bridges, both wood and concrete. Port Maintenance Group is also the oil spill response team for Southland. Port Maintenance Group has carried out a wide variety of ship repairs and refurbishments from small to large vessels, they also specialise in general engineering and outside contract work including total renovation and repairs of wharves & bridges, both wood and concrete. They have also undertaken survey and repair work on oil rigs, and the repair well heads, as well as the specialist lifting, leveling and moving of fuel tanks (of any size). Port Maintenance Group are also the oil spill response team for Southland. Port Maintenance Group supports an extensive modern machine shop catering for a large number of fabrication demands and offer specialist fabrication services. As well as carrying out a wide variety of ship repairs and refurbishments from small to large vessels, they also specialise in general engineering and outside contract work. Port Maintenance Group also undertakes total renovation and repairs of wharves & bridges (wood or concrete). This includes stripping of decking and all types of fendering, pile caps, stringers, deck beams, dolphins and replacement of piles. Port Maintenance Group are the response team for the Southland region based in Bluff Port. The company maintains a fully equipped oil response and clean up team on and around the clock call out basis from it Bluff Headquarters. The company has expanded its services to The Oil and Gas industry, working for New Zealand based oil companies and New Zealand based drilling contractors. Port Maintenance Group has supplied specialised welders and engineers to assist with connections of casing and general 'well head' overhauls. 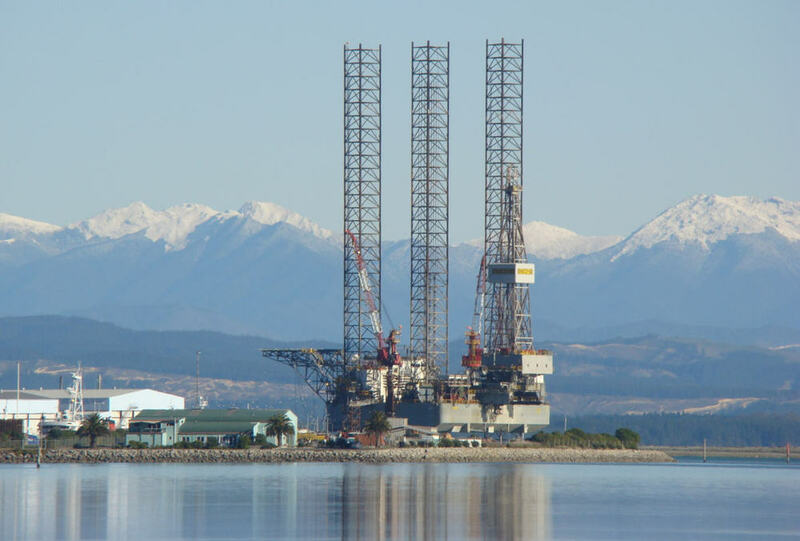 Port Maintenance Group has the required experience to carry out the quality and demanding work required and expected by oil and gas related projects on and offshore New Zealand. We are ready and willing to work with international oil and gas exploration companies and all related oilfield companies in New Zealand’s Great South Basin, Canterbury Basin and any other areas of activity. All of our welders and engineers are qualified to international standards. Port Maintenance Group employes 30 staff including; bridge builders, welders, and engineers. 6 Acres of flat land (offsite). AN EXTENSIVE MODERN MACHINE SHOP CATERS FOR A LARGE NUMBER OF FABRICATION DEMANDS AND OFFERS SPECIALIST FABRICATION SERVICES. 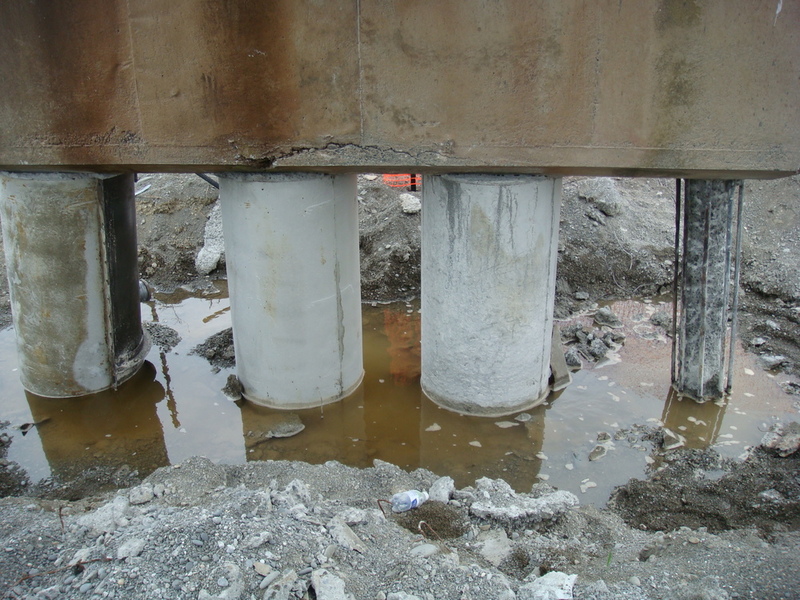 REPAIR OF BOTH WOODEN AND CONCRETE RAIL BRIDGES INCLUDES THE REPAIR UNDERWATER.